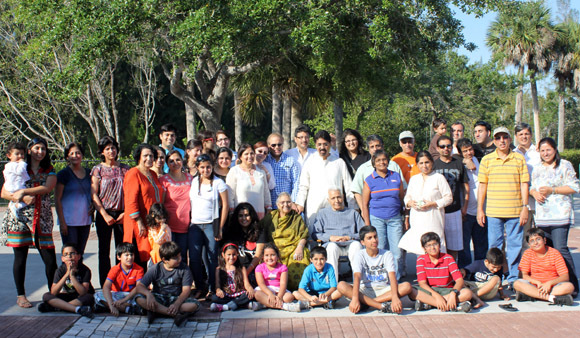 SHEHJAR - Web Magazine for Kashmir :: Navreh Celebrations in Florida! 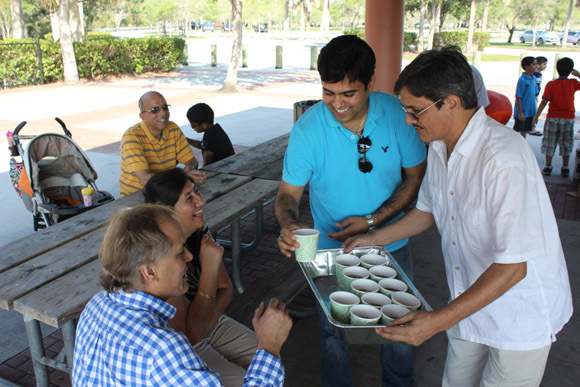 It’s been a tradition in the South Florida Kashmiri Biradari to celebrate ‘Navreh’ by having a picnic together. 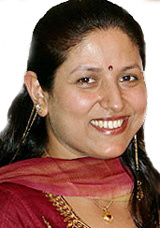 This is the way we like to welcome the ‘Koshur New Year’ together as a community. 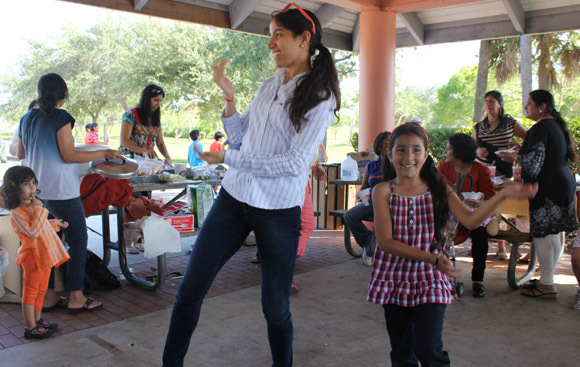 This year too, on May 5th’2012, carrying the tradition on, the members gathered on the sprawling grounds of Markham Park in Weston, Fl, for a fun filled yet relaxing afternoon. 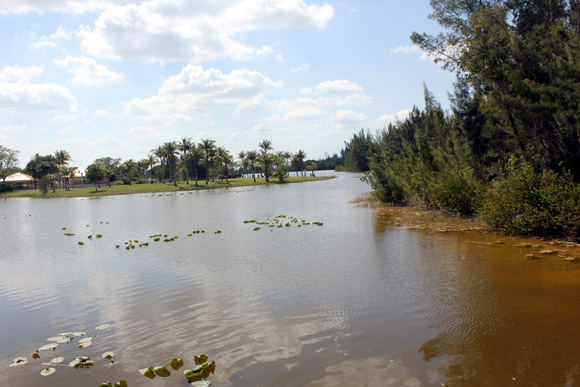 After a weeklong spell of showers and thunderstorms, everyone was glad to be outdoors on this perfect afternoon filled with plenty of sunshine! As everyone exchanged greetings, the aromas from the nearby grills getting warmed-up with barbequed goodies started filling the air. Soon everyone settled down to savor the yummy barbequed chicken, paneer, corn and Bhel-puri served as snacks. 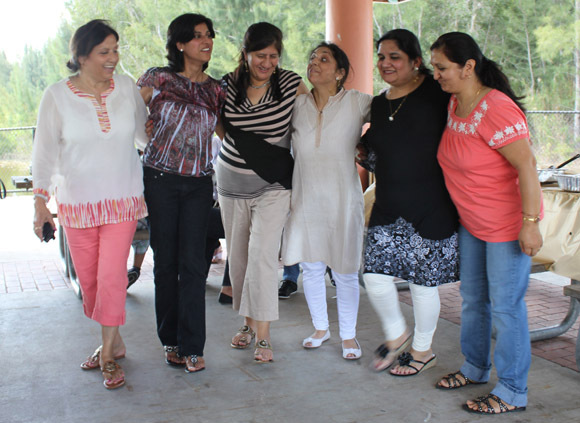 Everybody was relaxed and busy chatting with each other as melodious Kashmiri songs played in the background. While the adults mingled, the kids went to enjoy an exciting game of Cricket. They were soon joined by the male crowd who loved to play this game nostalgically as they remembered their childhood days in India. The younger kids on the other hand were busy in their own nature hunt along the park trails. Everyone was busy doing something they loved! An hour or two of physical activity had whipped up everyone’s appetite so it was time for a mouth-watering feast of ‘Taher’,‘Aloo Chaman’, ‘Paalak Nadur’, ‘Rajma’,‘Raita’ and ‘Salad’, followed by ‘Malai Kulfi’,’Oreo Cookies and Cream’ and ‘Pista Kulfi’ for dessert. Soon after kids resumed their game of Cricket and the adults enjoyed another childhood favorite game of ‘Antakshari’ over sips of hot ‘Kehwa’. With promises of another fun filled celebration, the picnic ended with a vote of thanks to all the Biradari members who have always worked as a team to make every event a memorable one as well as to Kashmir Hindu Foundation, Inc. -KHF which distributed beautiful Kashmiri Calendars to all those present in the gathering!! !